Below are web sites which describe some of my projects. My Instagram You can follow me on Instagram. 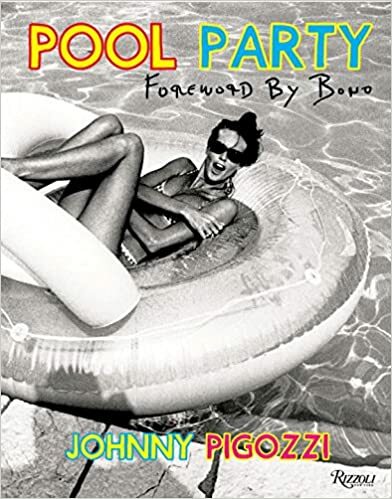 My New Pool Book Who wouldn’t want to see or be seen frolicking poolside with Mick Jagger, Naomi Campbell, and Uma Thurman on the Côte d’Azur? Catalogue Deraisonne You can buy my new photography book. www.seydoukeitaphotographer.com This site is about the photographs of Seydou Keita. www.caacart.com This site provides information on my Contemporary African Art Collection. www.japigozzicollection.com This site provides information on my Contemporary Japanese Art Collection. Television Show: 2014 "My Friends call Me Johnny," an interview program, will debut on Esquire Network, watch the trailer for the show here. www.Shoplimoland.com This site is about the line of clothing I am making for people who "Live To Create". Wikipedia This is my wikipedia page.